The origins of Wotanism remain sketchy at best to this day. It is known that Wotanism came into popular prominence across Europe as a religion along with the runes which Wotan had created, somewhere around 350 B.C.E., but there is ample evidence concluding that Wotanism extends much further back in time to the 'Thrice Great Hermes'. In the hey day of ancient Atlantis the reigning patriarchal deity was the god Poseidon and remained so until the final days of that civilizations destruction. The linage of Wotanism actually extends and traces back to Hyperboren times back to the high god Mimir who reigned in the early age of the giant races, an extremely ancient time which brought forth the first culture of man. Mimir, Beistla, (Wotan's mother) the Norns and Nat, formed as a group of kindred beings, all of which belong to the earliest of the giant races. Mimir was known to be the wisest of all the gods but later relinquished his vast knowledge to Wotan at the cost of Wotan's left (moon) eye which he was bound by his word to sacrifice into the Well of Mimir. The reign of Mimir was followed by the reign of the god Tyr until Wotan assumed the throne as the All Father deity. It has been a common theory that Wotan was possibly a high shamanic priest of Atlantis who survived the deluge and shared that high Atlantean technology with Egypt and the early Mayans. Mayan records tell of a white man with blue eyes and blond hair and beard who brought to them all of their advanced technology and they depict him wearing what we would now recognize as a space helmet. They called him Quetzalcoatil and he was also identified as Votan spelled with a vee unlike the Teutonic spelling. Pedro Corzo, a pilot who sailed up and down the Peruvian coast for four years, reported that everywhere in the temples he had found wooden or stone statues of a god called Guatan. The name means whirlwind, an equivalent to the old Germanic name 'Wotan', the ancient god of storm---and the Maya called him Votan. On a clay jug from Ratinlixul in Guatemala according to the studies of Pierre Honore' found in his book "In Quest of the White God", it reads: "There was a representation of the god of the moon as king of night and darkness, with the glyph 'ahau' added, meaning 'master and king', and 'Votan', meaning 'interior of the earth'. This god was worshipped by the Maya, the Mixtecs, and the Zapotecs, and the Aztecs. He was held in particularly high esteem by the Maya because he had the gift of the oracle." In Euro-Wotanist mythology the Great Tree of Life was known as Yggdrasil. 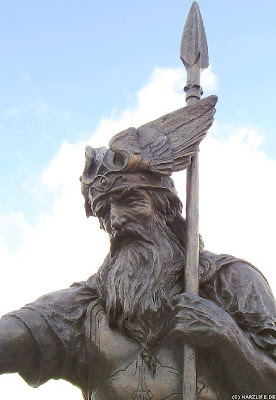 Wotan is often identified with Yggdrasil as the name itself means the "Horse of Ygg" (Sleipnir&Wotan) In parts of Europe Wotan was known by the name Yggjung---(old-young), equivalent to the biblical "Ancient of Days". Mimir was also identifed with a tree called Mimameid, the Tree of Knowledge, which is not to be confused with the Tree of Life. Over time Wotan became known as father over all of the gods and all of his people referred to him as Alfadir (Allfather) "Before the creation of the world was Wotan's knowledge, Whither he came, thither he returns; Now I know the songs as no other men, and no princely woman." Many scholars now have come to share an interesting conclusion that Wotan and the 'Thrice Great Hermes Trismegistus' are perhaps both one and the same entity. If one is to accept this claim then we might also conclude that either Wotan was in fact a high priest magician of Atlantis and brought the already established technology of that advanced civilization, or that Wotan had visited earth from another much higher advanced earth-like planet in the universe which if that were the case would most likely have its origin in the Pleiades. Hermes graced mankind with a highly advanced engineering which today's modern world has still not been able to equal or even fully understand. Wotan is known as the god of inspiration and ecstasy and a bringer of knowledge. Hermes and Wotan are both known to have brought mankind the gifts of poetry, oratory and learning and themselves the greatest of magicians, and one will find that the similarities of both Wotan and Hermes extend much deeper in likeness of character. Wotan at some far distant point is said to have migrated from the Northlands to the East which lends to the idea that he was possibly a great chieftain of an ancient Aryan tribe now found in some of the deeper strata of civilizations discovered in the diggings at Troy. Later Wotan would be diefied to the status of a god as has been suggested by several leading mythologists of our times. Whatever may be the case, Wotan has made a tremendous impact upon the ancient world, an impact that still has its repercussions in our modern times. People today still overlook the fact that the days of the week were originally named after the gods of Asgard and that 'Wotansday' now Wednesday, was originally named in Wotan's honor. One can only wonder why deities such as Poseidon, Cronos, Zeus, Apollo, Cernunnos and the like have been virtually forgotten viable deities and brushed into the dustbin of mythology, yet Wotan has survived the test of time in his own right much alive and vibrant which could be attributed to the result of his many guises of renewal which adapts him to the constant changing times throughout history. Wotan is said to have borne twelve names among the old Germans, and to have had 114 names besides. The twelve names were: All-Father, Lord of Hosts, Lord of the Spear, Smiter, All-Knowing, Fulfiller of Wishes, Farspoken, Shaker, Burner, Destroyer, Protector, and Gelding. We can find his name attributed to the god Hermes, to the Trojan King Priam, to the Saxon god Irmin, to the Green Man, to Herne the Hunter, to Merlin, and Barbarosa. Once Christianity forced its alien Semetic religion across all of Europe, Wotan, to the converted Christians, would become transformed into Saint Michael, the warrior-angel who led the hosts of heaven. Valhalla, in turn, was addapted into the Christian interpretation of heaven. At times Wotan can be altered to some degree but he will ever remain an indestructible entity and life force and always vividly present in our world and in our psyche. The whole concept of Santa Claus and what is now known as Christmas began with Wotan. The cutting down of the Yule tree and burning of the Yule log was in tribute to Wotan. The Druids tied gilded apples to the Yule tree as a symbol of fire, in honor of Wotan. The evergreen Yule tree was long celebrated by pagans as a symbol of life as unlike most all other trees it remains green year round. Wotan was not only a warrior god, but also the bringer of sunshine and gifts. The highest gift is that of Wotan, who endows the humans with his own spiritual essence. In return sacrificial harvest gifts had to be left for his holy eight legged steed Sleipnir (glider). Like today, the gifts were left in socks, boots, and clogs. In newly Christianized areas, where the pagan Celtic and Teutonic cults remained strong, legends of the god Wotan were blended with those of various Christian saints; Saint Nicholas was one of these, as well as the name 'Klaus'. Wotan's pagan Herne/Pan fur clad appearance remained for a long time, and early versions of Santa Claus still used the image of Wotan with deer antlers sprouting from his head. From ancient times, horns on humans were symbolic of both divinity and fertility. The final image of Santa Claus as we know him today with his white fur trimmed red velvet outfit was created by the Coca Cola company in the early 1900's. The old religion of the North was a bright, organic and lively faith; it lived in the light of joy and gladness; its gods were the 'blithe powers'; opposed to them were the dark powers of mist and gloom, who could not bear the glorious face of the Sun, of Baldur's (Wotan's son) beaming visage, or the bright flash of Thor's levin bolt. Wotanism continues to survive and revive undaunted by the slings and arrows of history and other existing religions because it is not a stagnant religion and like Wotan himself continues to evolve and adapt and to meet the needs of the developing human psyche. In essence the Aryan consciousness is the eye of Wotan in the heart of man. Teutonic lore is mainly "father-kin" in character, while Celtic is mainly "mother-kin". The deities of the Teutons are controlled by a Great Father, and their elves by a king. 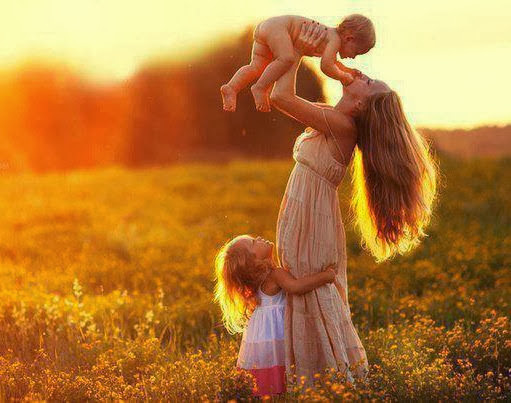 The deities of the Celts are children of a Great Mother, and their fairies are ruled over by a queen. The visage of Wotan was magnificent in appearance, he wore a golden helmet, plumed with vast eagles wings. In his hand he grasped his trusty spear, "Gungnir" (Gylfaginning). An oath sworn upon Wotan's Gungnir spear could never be broken. On Wotan's arm he wears a gold armband called "Draupnir" which is the emblem of fruitfulness. Every 9th night this golden armband was known to shed eight replicas of itself. Wotan's three great halls were known as Gladsheim, Valaskialf and Valhalla. Wotan's horse was a feiry eight legged steed known as "Sleipnir and it could gallop at colossal speed all across the entire nine worlds. At times Wotan was required to travel to the underworld. The eight legs of Sleipnir are symbolic of the eight legs of the funeral pallbearers carrying a coffin. His wise ravens known as Hugin and Munin (thought and memory) sit upon his wide shoulders. His two trusty Wolves which stay always at his side are called Geri and Freki. Wotan was simultaneously a wise, a kind and a cruel god, for as such he represents Nature and even human nature itself---for all of us can be simultaneously wise, kind and cruel. Like a hurricane Wotan upon Sleipnir could fly to the forefront of his warriors who swarmed endlessly from the gates of Valhalla. Around him, like a winged host, flew the "Valkyries" on their dazzling chargers led on wildly by the shaman goddess Freyja. The very image of the gods of Asgard assembled for battle was an incredible and awesome sight to behold. "Out of a timeless world, Shadows fall upon Time, From a beauty older than earth, A ladder the soul may climb. I climb by the phantom stair, To a whiteness older than Time." ..........A.E. The free fancy of the ancient Aryans of Northern Europe wove the web of their myths and legends, and was consecrated by faith. It had not, like the modern mind, set apart a petty sanctuary of borrowed beliefs, beyond which all the rest was common and unclean. The Havamal (Hava Maal) was the holy book of Wotanism. The word Havamal means, (Sublime Book of Wotan). The book consists of a compilation of maxims for right and honorable living. Like other religions Wotanism had its Trinity. Our Northern ancestors worshiped the tri-une deity Wotan the Almighty Father; Frigga, his wife, emblem of universal matter; and Thor, his son, the mediator. But above all these was the Supreme God, "the author of everything that exists, the Eternal, the Ancient, the Living and the Awful Being, the Searcher into concealed things, the unmovable Mover, the Supreme Divinity over all existing universes of infinite space that never changeth. It was customary in the old days to hold three principal sacrifices a year to Wotan at which the people assembled in the chief temples: Vetrarblot, (Winter sacrifice) October14th, Midsvetrarblot, (Mid-winter sacrifice) January 12th, and Sigrblot (Victory sacrifice) April 15th. Wotan's supreme will was that treasure-house of bounty towards which, in one shape or the other, all desires turned, and out of its abundance showers of mercy and streams of divine favor constantly poured down to refresh the weary race of men. All these blessings and mercies, the very source itself found in the ancient language, was bound up in a single word, which, however expressive it may still be, has much of the fullness of its meaning in its descent to these later times. This word was "Wish" which originally meant the perfect ideal, the actual fruition of all joy and desire, and not, as now, the empty longing for the object of our desires. Wotan as the god of Wish, now has hands, feet, power, sight, toil, and art. In the Edda the word "Oski" literally expresses the masculine personification of "Wish" and as it passed on there was later added the word, 'ask', which as a prefix to a number of others, stands to signify that the two words together stood in a peculiar relation to express The Great Giver Of All Good. "Aska-maer" (wish-maidens), was another variation of the name to describe the Valkyries---Wotan's "Course-choosers"----who picked out the slain heroes for him on the field of battle and of whom the former high god Tyr would become commander. In the Lay of Hyndla this passage: "Let us pray the Father of Hosts to be gracious to us! He granteth and giveth gold to his servants, He gave Heremod a helm and mail-coat, And Sigmund a sword to take. He giveth victory to his sons, to his followers wealth, Ready speech to his children and wisdom to men, Fair wind to captains and song to poets; He giveth luck in love to many a hero." In Wotanism the ancient religion of the Aryans, the harmonious development and coexistence of intellectual and instinctive drives, and the will for continuous reorientation to external reality have been the stimuli for a limitless growth. Wotanism from its very inception has been characterized by a profound reverance for the Natural Order. From this reverence with its concomitant recognition of the necessities of Externality, Wotanism has derived a remarkable flexibility and non-dogmatic non-evangelistic non-authoritarian attitude which has enabled it to evolve from its ethnic tribal religion to a modern philosophy acknowledging the very latest discoveries about man and the universe and providing answers to contemporary problems---a testimony to progressive rationality, knowledge and quality of lifestyle. In Wotanism are found the spiritual forces, the folkish idea, and the religious dynamics required to solve the problems of our perennial disunity, and to furnish the background for both our people and our ethnic survival as a species. It is still an open question whether the human species will survive its own triumphant (however perilous) conquest of the planet. There still exists that hope that we may yet learn the biological wisdom of acting with restraint and living in ecological balance and awareness with Nature, our gods and the All High Creator. The gates of infinity open wide to let Wotan into the forefront of our consciousness and with him he brings to us the manifestation of our own inner and outer strength, strength of legions! Wotan bears the gifts of wonder which we have come to know as Unity, Knowledge, Wish and Reason which is the treasure of our inheritance! Our gods remain rooted deep within our DNA and if you listen closely you will hear them......you will hear them in the silence and in the roaring din of life’s battles on the stage of Midgard...... and you will hear them as they beckon to you in the wandering wind. They are the same divine gods of our most distant ancestors....... the gods of our blood....... Eternal and most powerful they are.......and will never fail you! zones of the human psyche have all been cut, and we have been split in two."